The health effects of mold are very serious, and a mold problem should not be taken lightly. Sometimes you can be suffering the symptoms of mold allergies even if there is no mold growing in your home. This can be because of mold spores blowing into the home from outdoor mold or because there used to be mold growing in your home which left behind a build-up of spores. People who live or work in buildings that are exposed to moisture and not adequately ventilated are more at risk of illnesses causes by mold. Populations at particular risk include: infants and children, elderly persons, immunocompromised patients and people with existing respiratory conditions, such as allergies and asthma. By inspecting and testing for mold you can tell if there is an unhealthy level of spores in your house and find out if any allergies you might have are from mold or something else. Some illnesses that are caused by mold include: allergies, asthma, stuffy nose, sinus infections, lung infections, lupus, dizziness, headaches, nausea, chronic fatigue syndrome, fertility problems and even cancer. If you have been experiencing any of these symptoms for an extended period of time, then it is a good idea to have your home tested for mold problems. When a mold contamination is present in a building, it can cause health effects of mold through the toxicity that builds up in a person’s body. 1. Breathing in the mold spores. Microscopic mold spores can easily move through the ventilation system within buildings. If there is mold hidden in your home there will be mold spores in the air. When you breathe these spores in your body will react with allergic reactions like asthma, sneezing, a runny nose, sore eyes or other respiratory complaints. 2. Food contamination. When mold spores are present in the air, food may become contaminated and spores can be ingested into the body when the food is eaten. 3. Direct contact. Direct contact with mold is extremely dangerous. Direct contact with mold may cause a number of health effects. If you are exposed to the dangers of mold in any of these ways, it is likely that symptoms will develop and you will experience increased health problems. The symptoms usually start out small, because the mold exposure is small in the beginning. But, as the mold growth spreads, the number of mold spores in the house quickly increases, causing a compounding effect on your health problems. 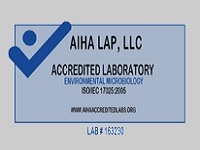 If you feel that you are exposed to mold and the symptoms it causes, call and schedule for your Lab Certified Detailed Analysis today and visit your family’s physician. Indoor Allergens are the unseen cause of many allergy symptoms. 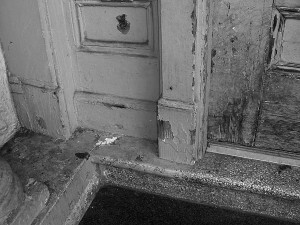 Lead Paint Pealing off of a door and wall, exposing toxins. 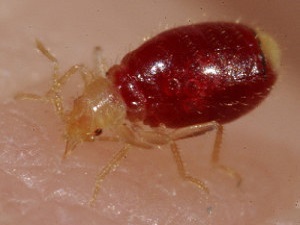 A bedbug full after a large meal of blood on human skin. 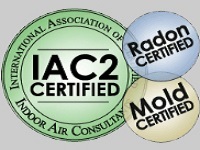 Mold Air Quality Test your facility, which will include a laboratory certified detailed report, within a few business days. Please contact our office directly for a quote. The irritants that are found in our homes can make their way into our cars, trucks, boats, and RVs. Mold can grow in the dark and damp places of your vehicle. If you are suffering from persistent allergy symptoms, having your vehicle or vehicles tested is the best way to determine the culprit. Find out more information on our vehicle mold testing page. Feeling under the weather lately? Have you been experiencing symptoms such as headaches, congestion, runny nose, itchy eyes, skin rashes, lingering cough? Maybe you are allergic to particles in your home or work environment. These particles are called allergens. Allergens are any substance that when inhaled, swallowed or touched can trigger an allergic reaction. Your body becomes tricked into believing that this substance is harmful, causing your immune system to overreact. Health experts estimate that 35 million Americans suffer from upper respiratory tract symptoms caused by allergic reactions to airborne allergens. 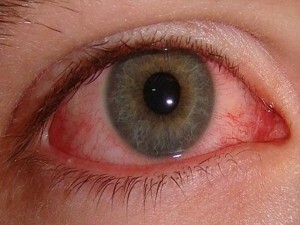 The most common types of allergens responsible for causing allergies include: mold, dust, mites, pollen, animal dander and insects (cockroaches), among many others. Contact us and schedule your Allergens testing for individual items or ask us about our Combo kit which includes: cat and dog dander, dust mites and cockroaches. Educate yourself on what you are breathing, so you can have a healthier and more enjoyable life. Drinking water quality testing is the only means of determining how safe the water is that gets pumped into our homes. We no longer have to take the word of water treatment plant authorities when they say that all the water we use is safe. Whether you have a well or use town water, water quality testing can benefit you! Has your water changed taste, color or appearance? Are your family members having recurrent gastrointestinal illnesses? Have you had a problem with a broken pipe? Do you need to monitor your water treatment equipment of your home or building? Yes, the government tests the water at the water treatment facility. What about deteriorating pipes, lead soldering and corrosive water coursing through the pipes on its way to your faucet and into your family’s mouths? Lead is the number one environmental health threat to our children, according to the U.S. EPA. Maybe you are purchasing a home or building with old pipes containing cast iron, lead or rust. Maybe the water has been dormant in the pipes for an extended period of time. 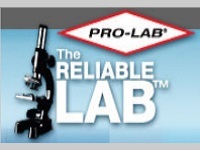 We test both commercial and industrial facilities! Bed bugs are bloodsucking insects. They are attracted to their hosts by carbon dioxide and warmth. Bed bugs cause a number of health effects including skin rashes, psychological effects and allergic symptoms. 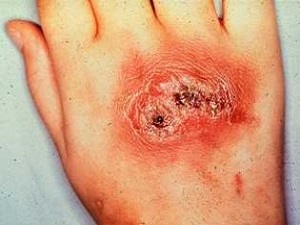 Individuals can get infections (such as Staph) from scratching the itchy bites. Bed bugs can get into your home in used clothing, furniture, mattresses, bedding and luggage. They are small and hard to see, hiding in small crevices. Don’t get bitten! Contact us to schedule your bed bug testing today! Bed Bugs **We do Large Size Facilities. Get your facility inspected today.